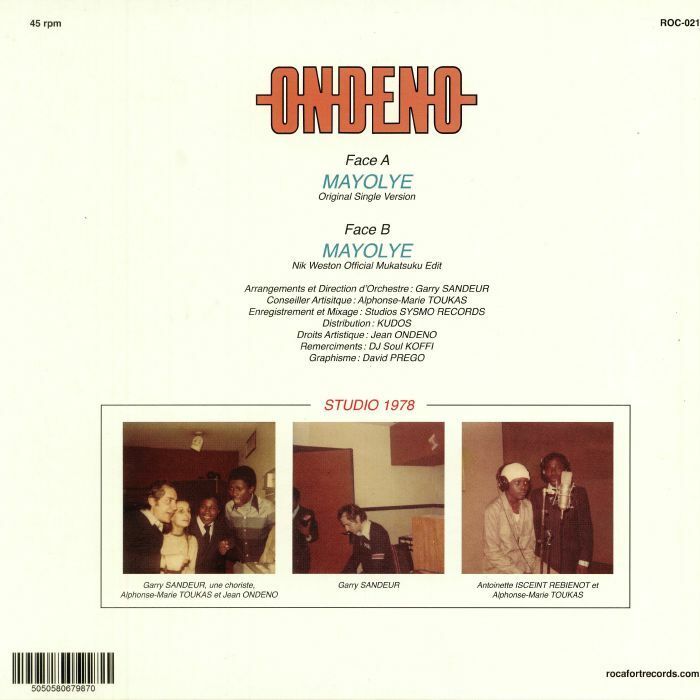 ONDENO Mayolye vinyl at Juno Records. 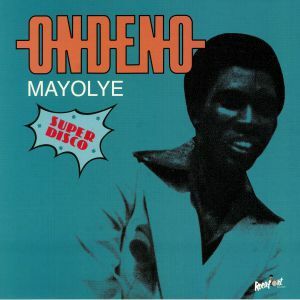 Destination Paris, 1980: Gabonese singer Jean Ondeno is in the eye of the French capital's afro-disco storm. Championed by broadcaster Alphonse Marie Toukas and partnered with songwriter, producer (and 70s TV host) Philippe Brejean, Ondeno blessed the world with one eponymous album and "Mayolye" was the opening cut. Vibrant, upbeat and loaded with effortless funk and Ondeno's soft falsetto, it's a vital slice of afro-disco fusion that comes complete with a subtly-charged, floor-primed Mukatsuku edit from Nik Weston. One per customer; this is not to be slept on.